Now, as one of the Tampa Bay area’s top cosmetic physicians, Dr. Besnoff has performed thousands of surgical procedures in plastic surgery, gynecology, tissue donation and life-saving emergency treatments. 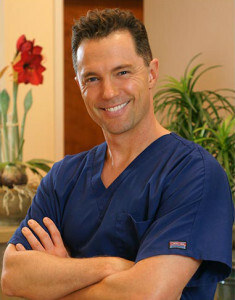 In fact, he has performed more BOTOX® / Dysport® treatments in Tampa Bay than any other provider. “I chose this line of medicine because of my ability to work well with my hands during medical procedures and my desire to make patients feel happy about themselves.” he says. Dr. Besnoff was recently certified to administer Kybella® injections, which is a drug that, once injected, dissolves the fat under the chin. He also uses ThermiTightTM which administers radiofrequency to heat the skin under the neck to help tighten that area. Additionally Dr. Besnoff’s team has the proper non-invasive treatment for bags under the eyes (PRP Micro-Needling, Thermi™ or Fraxel® Laser). Dr. Besnoff’s office is located in Clearwater. Dr. Besnoff is a single dad of two and enjoys family games, dressing up with his kids at Cosplay events and outdoor activities such as beach games, tennis and golf.